All the shooters always desire the accurate, stable and reliable weapon. However, before you are respected by the weapon, you have to respect it. 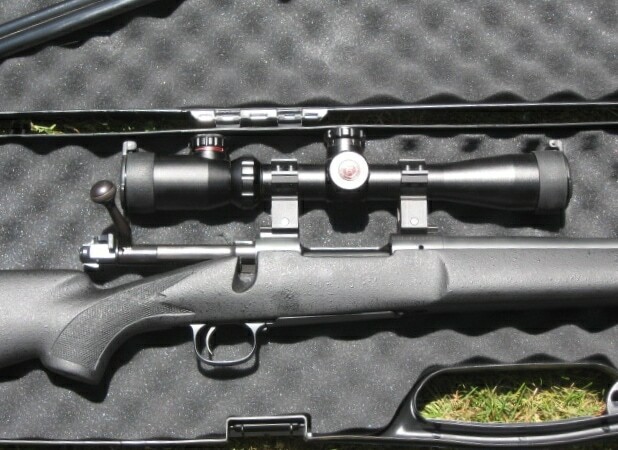 Protect and keep the guns in good condition is what the gun user can not ignore before every shoot. 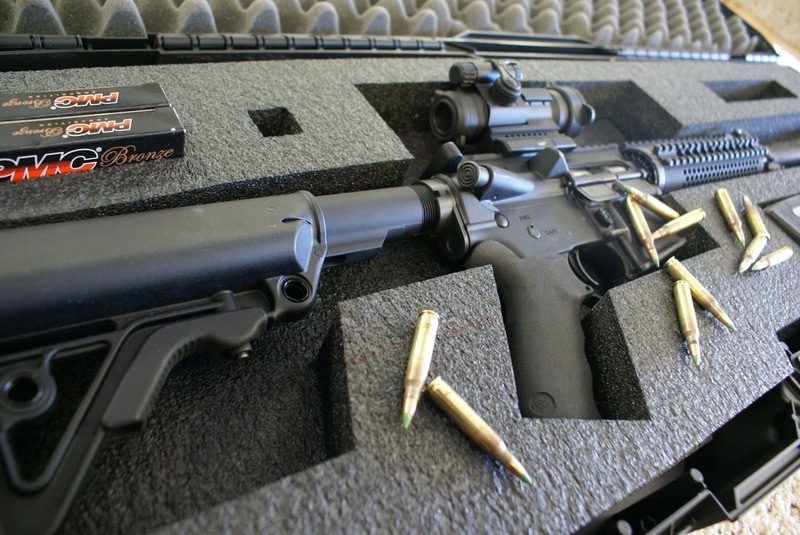 Hard case, with the soft and protective foam, it is the real promise to ensure for your “company.” The foam can absorb the impact and reduce the damage to your gun while keeping in the box. Therefore, a little skill and introduction are essential for you to secure your firearms. In this post, we will go to discover how to cut foam for gun case. There will not be many things you will need to do this task, just sharp knife, some pins, some large carton paper. Those things are enough, but you have to make sure that the knife should be convenient for you to hold it. At the same time, it should be sharp enough for you to cut the foam without effort. Sometimes, the website will recommend you to take the hot wire cutter or the electric knife as the needed accessories. But if you do not have them, that is alright, although the recommended tools will make the cut clean. You can make the case looks good with only the razor knife and a little effort. You will need to lay your guns on the foam and think about the spot you want to leave them. This will allow you to think about texture to ensure it will look nice after it is accomplished. Try to arrange first will allow you to take advantage of the space in the case. For most of the case, the gun will take the central space on the foam, while the accessories will locate in other spots. Then you can put all the thing you need in just one case. Leave at least one inch between the gun as well the accessories. That distant will ensure the firearms as well the other components are not banged to each other. Asides, try to balance the weight of the weapons in the case, you will not want the case to be more massive on one side. This will make you feel uncomfortable when carrying it for a long run. It also makes the case is not stable and spoils the protective feature of the foam. When you find the appropriate arrangement for your weapons, find a pen and begin to mark it on the carton paper. Another time, do it on the cardboard paper, why you have to do that? It easy, you might change your mind if you see it not good as you imagine. Besides, if you would like to rearrange, you can begin on another carton, it easy. And more important, you will not dirty your foam with the mark of ink in there. In the situation that you do not have the carton paper in hand. It is okay for you to find the alternative thing as long as it is hard enough for you to put in on the foam and cut it following the marked line. If the paper is soft, then might mobilize and cause the trouble for you. The more the line seem straight, the more it looks profession, if you are not confident in your craftsmanship, you will need a ruler to help you. It will pave the way for you to have the clean cut after that. As well, make sure the line is straight and parallel to each other, the edge looks nice before you cut it out. Small advice for you is it can be unnecessary to flow the little angle, edge, details of your firearms. Line a straight is the best solution, in this case; you can not cut the detail if it is tiny. Instead, just cut it in a line and the gun will suit the gap by itself. If you sure the arrangement of the guns and accessories, then you can place the shape on the foam. Use some pins to locate it on the foam, a little movement of the carton shape can ruin your cut. Keep it stay still by ten pins might be perfect, but can be adjusted depend on the size of the shape. Now take the knife and cut along the line of the shape. Meanwhile, you want your firearm to snugly fit the gap, cut inside it. As for the longer you use the case, the gap will be widened, that lead to the idea a little tight at first will not be a bad option. Bear in your mind, do it careful and gentle, do not press the knife too deeply, unless you want to leave the cutting mark on the foam. Use one hand to cut the foam, while the other hand should press on the carton paper shape, prevent it mobilizes. At this moment, your case with its gaps is fit for your weapons and the accessories. It might be live up to you’re the primary use of it, but might not for your expectation. A shooter is also an artist, it reasons why the case should show the aesthetic with the foam. Take the knife or the hot wire cutter if you own it, to trim the line. Cut all the excess piece of foam on the line and make sure it looks clean. Use your hand, to see if the foam around the cut is smooth enough. In addition, curving the edge and angulation to make it look more elegant and graceful. Thank you for reading my post about how to cut foam for gun case.